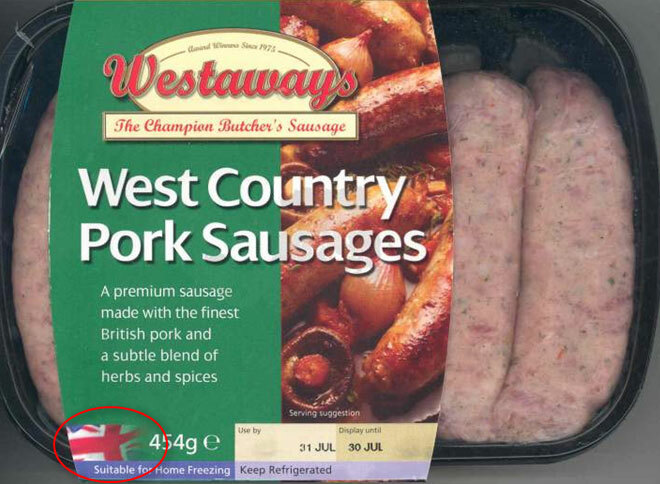 Product specific terms or recipes that state a geographical origin within the UK will be made from UK pork. Otherwise they will be accompanied by an origin declaration in the same field of vision on the label. 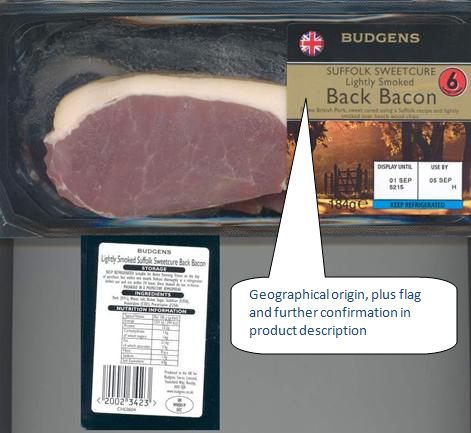 The use of breed descriptions that state a geographical origin within the UK will be from UK pork. Otherwise they will be accompanied by an origin declaration in the same field of vision on the label. 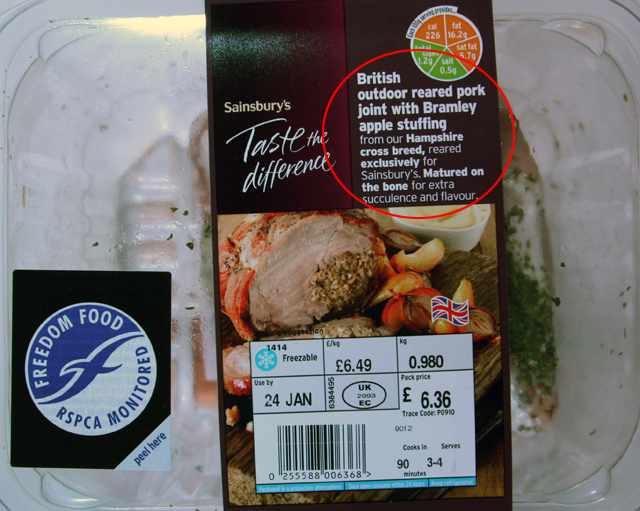 The use of trade names (for example Rural Valley) and/or imagery (for example English village scenes) used on packaging that could imply a UK country of origin will be UK origin. Otherwise they will be accompanied by an origin declaration in the same field of vision on the label.